The baby leaves (also often dark red) are added raw to salads. Older leaves are good steamed or boiled. Try the root grated in salad, boiled and sliced in vinegar or slow roasted in their skins. Roast with a little vegetable oil for an intense earthy sweet flavour – peel once they’re cooked. Leftover cooked beetroot can be eaten cold in a salad . The grated root is also used in baking. 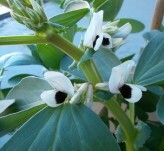 Plants - If you prefer buying plants, have a look at http://www.awapuni.co.nz/category/Vegetables . Or Oakdale Organics range available from Palmers, Lincoln st, Hamilton. You can plant garlic any time from May to July. Garlic likes moist soil which has been dug well. Garlic likes sun. Don’t plant garlic where you have just grown onions or leeks. Garlic takes 6 to 8 months to grow. Break up a garlic bulb into 'cloves'. Plant each clove, point upwards, about 4cm deep. Plant the cloves 10cm apart. Pick them off - go into the garden half an hour after dark (about 6pm) with a torch. Pick off as many slugs and snail as you can. Destroy by squashing or put them out on the pavement for birds to eat in the morning. 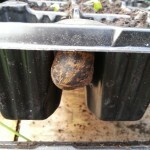 NOTE snails can travel up to 8 metres at night, so make sure they don't find their way back to your vegetables!. Remove hiding places - planks, empty pots, pieces of wood and check for snails during the day. Traps - make a trap out of a dish of sugary water or an upturned plate with bran underneath. Check and remove snails every day. Wet leaves are slippery to walk on. Sweep them off your paths and decks every day. 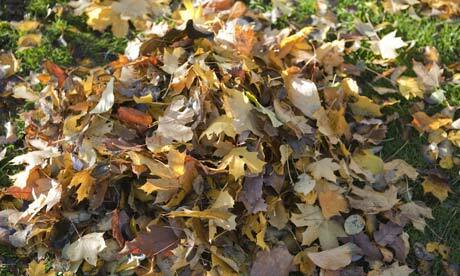 Autumn leaves make good compost and mulch. Gather the leaves up and spread under fruit trees and shrubs. Keep autumn leaves off the vegetable garden because snails and slugs like to hide in them. A cutting is a piece of plant stem which can grow new roots. Its easy to grow figs, berries and grapes from cuttings in winter. Matariki is known as the Māori New Year. It is marked by the rising of the cluster of stars named Pleiades or Matariki. Matariki in the gardening year signified harvesting of crops and planting of new ones. Venue: Hamilton Gardens, Camellia Carpark Enter Gate 2 from Cobham Drive. A short distance down, on the left, is the entrance to a large car park. Thank you for your support!! Clare! !